Step 1 Place the kombu in a pot with the water. To draw out maximum flavor, let it soak for 15 minutes before placing the pot over medium heat -- this will further infuse the water with the flavor-enhancing properties and nutrients of the kelp. Step 2 Remove the pot from the heat as soon as small bubbles begin to break on the surface and at the edge of the pot. Add the katsuobushi, scattering the flakes across the surface of the water. After several minutes, the fish flakes will begin to sink. The larger the flakes, the longer they will take to sink. To keep the stock from tasting fishy, pour it through cheesecloth or a coffee-filter-lined strainer within 3 or 4 minutes of adding the fish flakes. The kombu can be reserved for another use; discard the remaining solids. The stock will keep for up to 3 or 4 days in the refrigerator. In Recipes-list.com we have selected the most viewed recipes from category - Healthy eating Sides . Enjoy the best recipes specially selected for you! 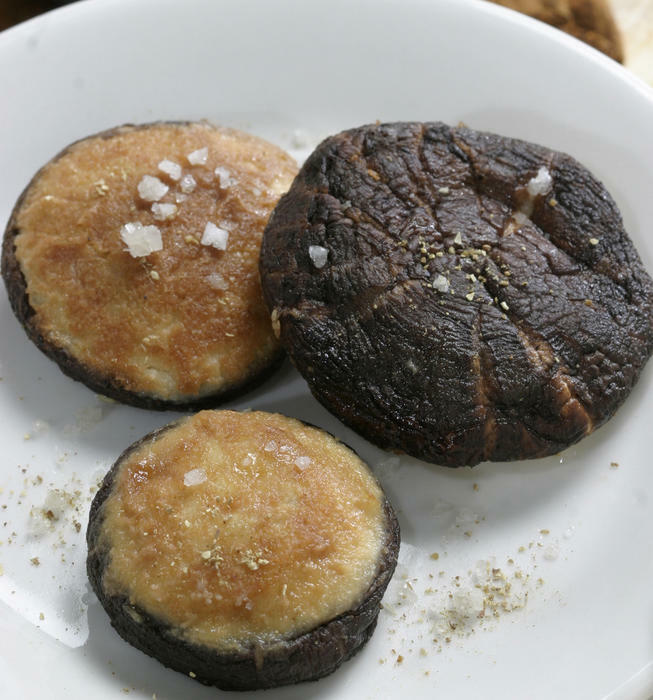 Tofu-stuffed shiitake mushrooms is the right choice that will satisfy all your claims.